Waterfall Info: From the bottom, this is the third waterfall on Mud Creek. It's the only waterfall on Mud Creek that is accessible to the public. Its roadside location provides easy access for everyone, although the waterfall remains surprisingly obscure. Access Info: No substantial walking is needed to see this waterfall, which is located right at the end of a side road off Tahoe Lane in the town of Sky Valley. 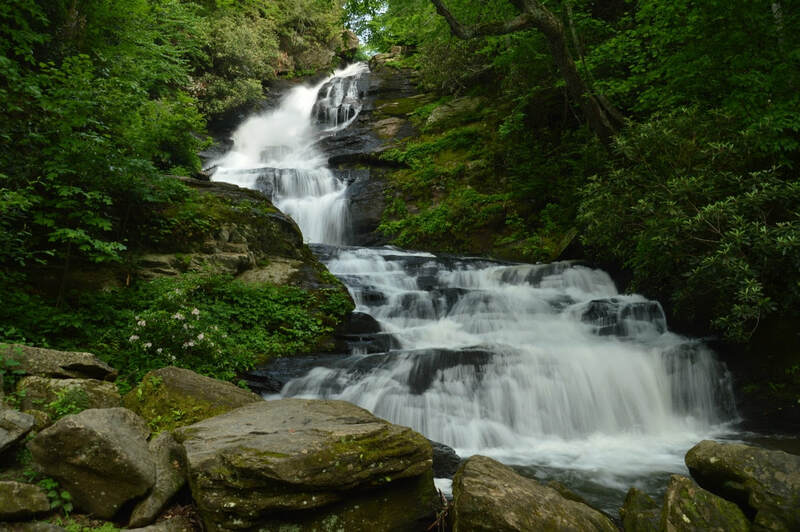 A hiking trail begins at the falls and follows Mud Creek downstream for one mile, passing several scenic cascades on its way to Highway 246.